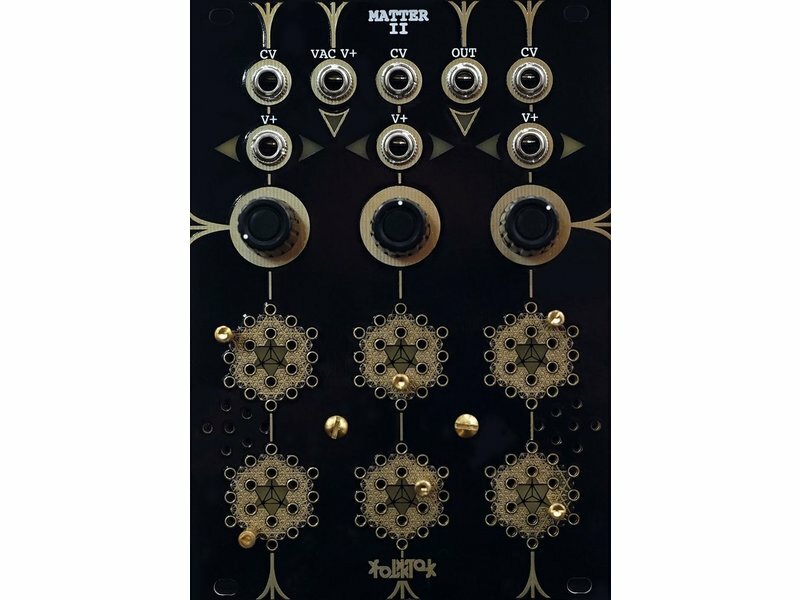 Matter ii may be our most beautiful and fully contemplated module to date. 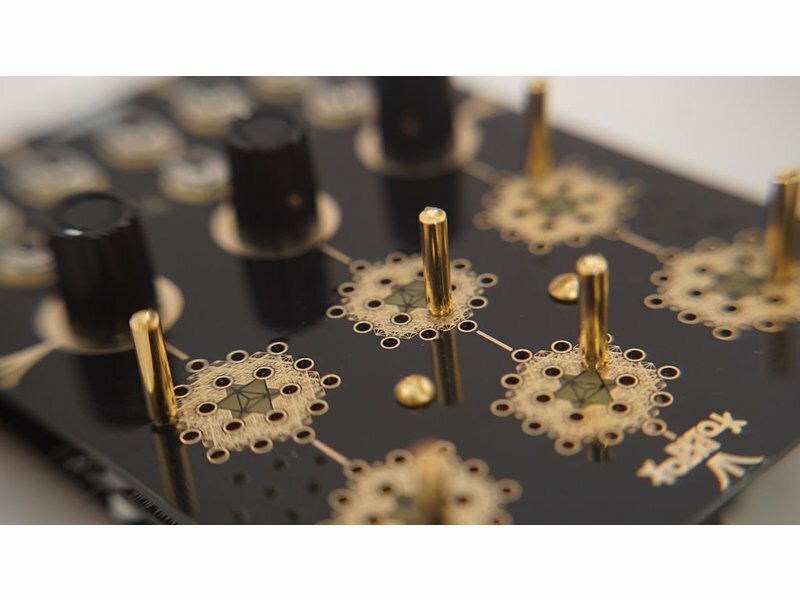 It takes the original analog drum-wave synthesis of the original matter and simplifies patching while also adding possibilities. By nature, it is in a way less experimental than the original matter but there's massive room for experimentation and this version opens possibilities that would be much more difficult if not impossible to accomplish on the original. 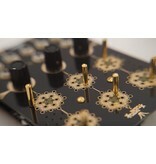 It utilizes a pin matrix - a single point patchbay that allows you to connect points without the use of cables. Included are gold 2mm banana plugs and these are easily replacable. On the front panel there are extra entries (holes) to hold extra, inactive pins. 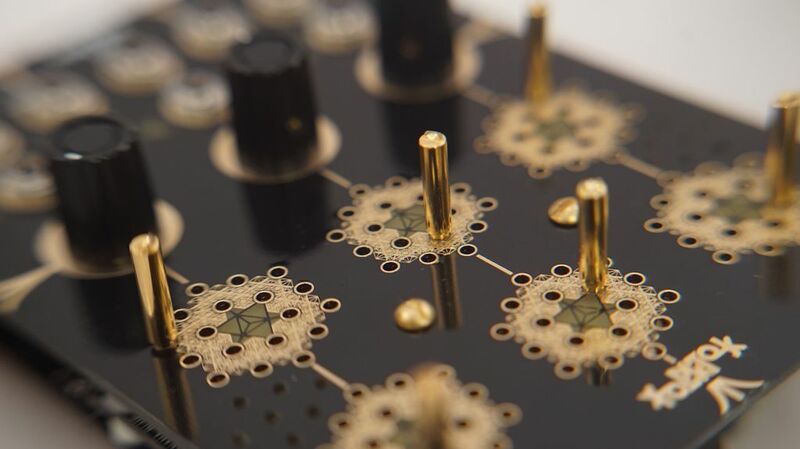 The pin matrix allows access to the sound generation to create anything from beats to drone to noise and matter ii is fully capable of processing external audio with fuzz, filtering and heavy distortion. 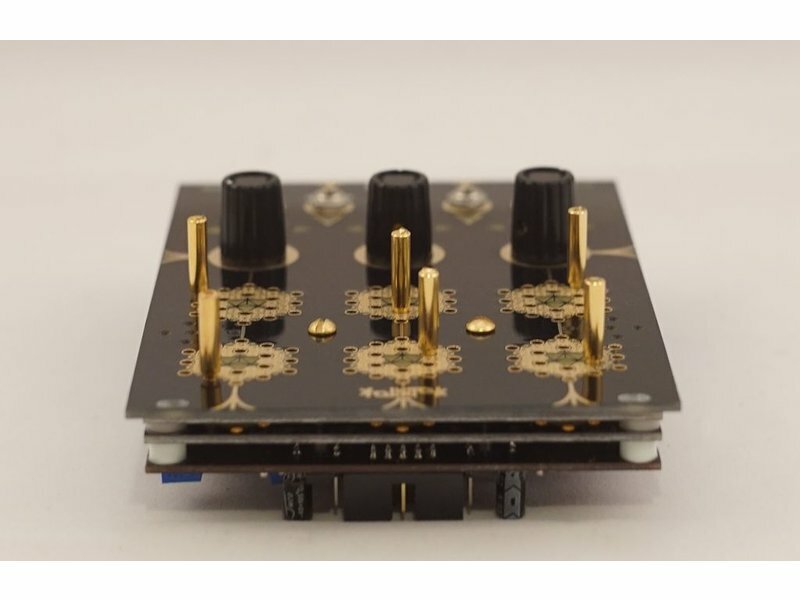 With the addition of a vactrol, these drones, noise or even processed audio can be cut or modulated with any gate, trigger or cv source. 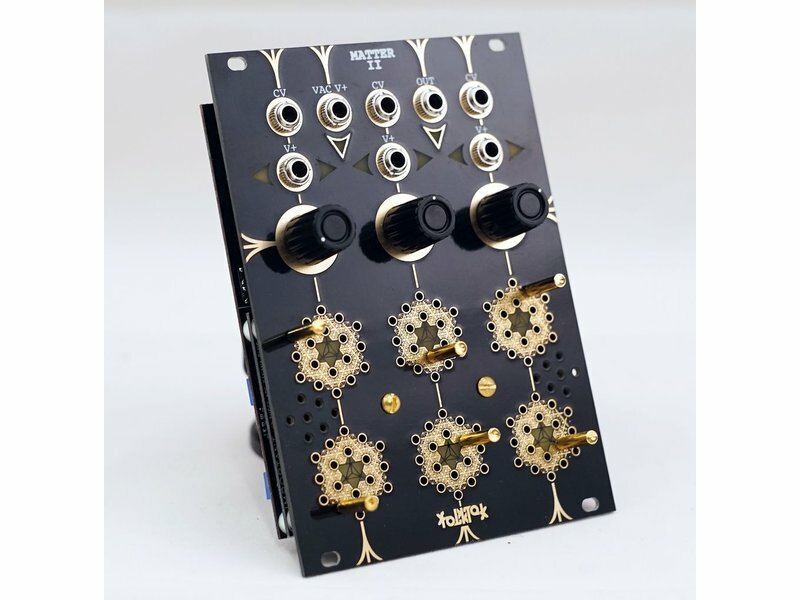 The three sections include two 18 point matrices, a knob, cv over that knob, and v+ input which triggers or modulates the sound generation. 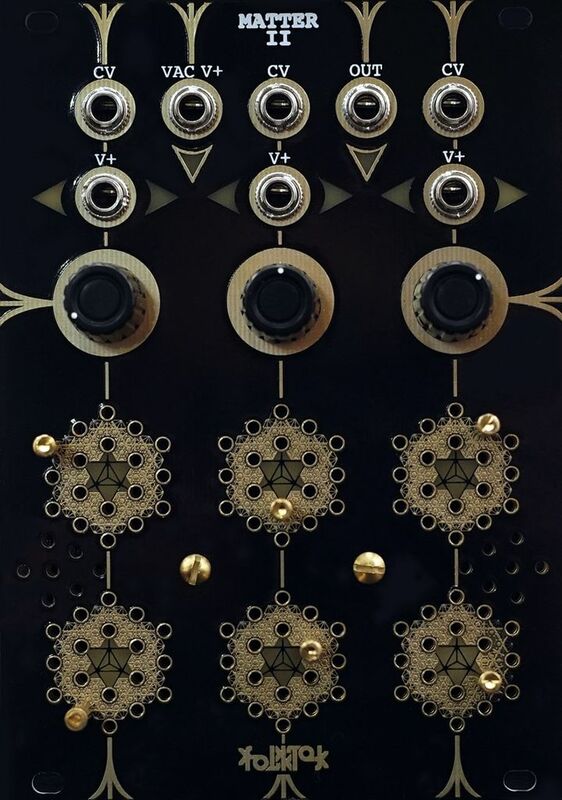 The knobs essentially function as "resist", the sidekick module originally created for matter. 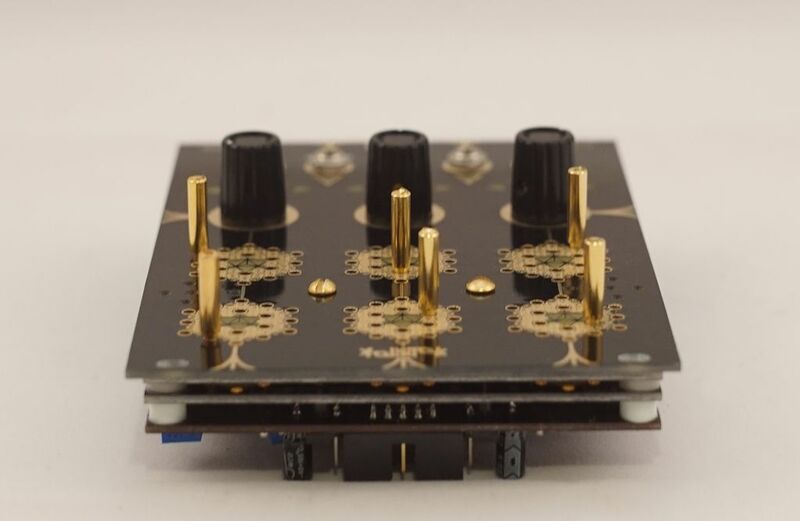 This allows you to blend and mix sounds/drums/processing and makes the variety of sound and possibilities much more expansive. 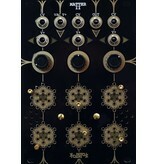 We've added cv to these knobs so external cv or gates can control the changes. 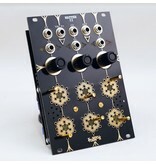 The center of each matrix illuminates to indicate the position of the knob/cv. Additionally, if you own an original matter: know that these can work together. A future 2HP expansion sends all 18 matter matrix points to dupont. Patching Matters together (new or old) can yield some amazing and often strange results and can double your level of processing external audio. 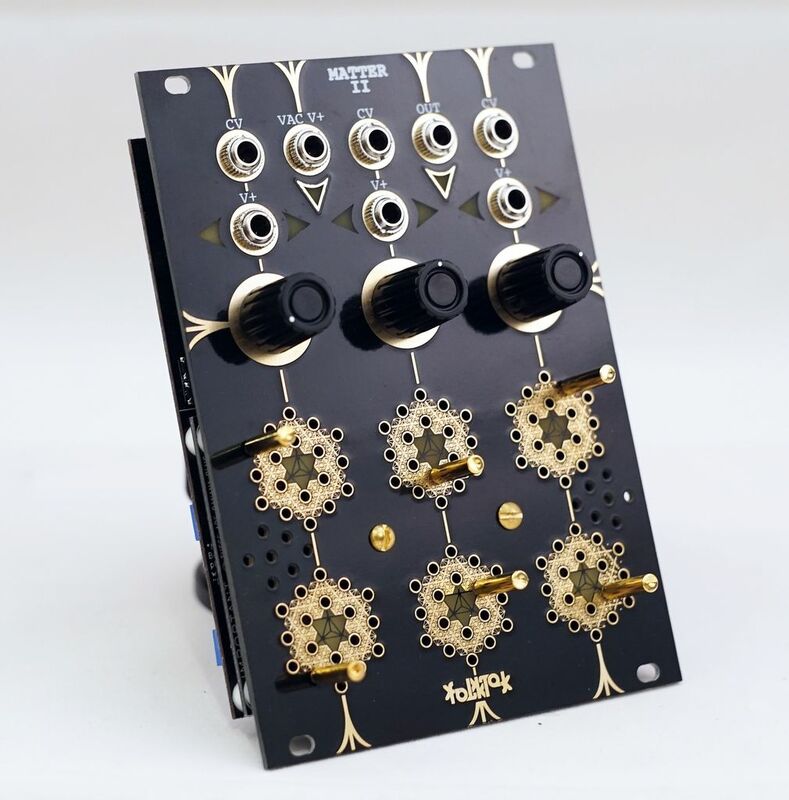 Matter ii is designed to allow for expansion cards; you'll see a representative test-card in the photos above. 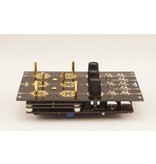 These are thick 1/8" boards which set on top of the faceplate. 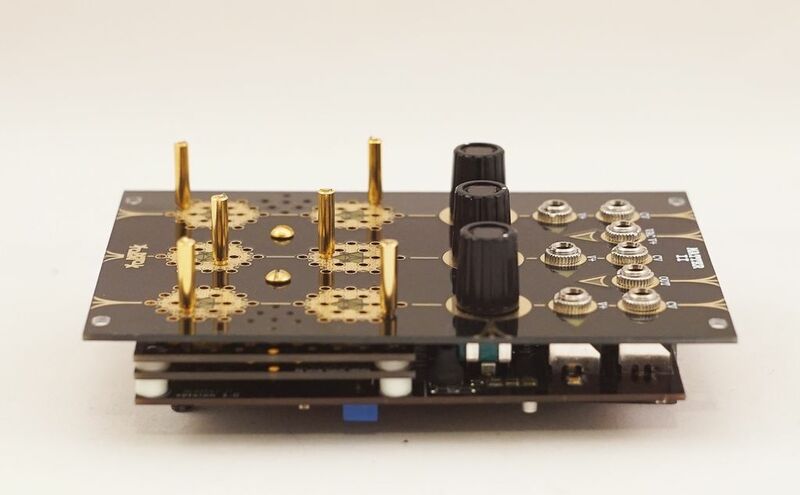 The top panel allows access to the power and circuitry which can allowmatter ii to becoming anything an engineer or experimentor can dream up. 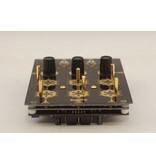 It can add reverb or delay, multi-triggering, modulation or sequencing. We'll be releasing cards in the next few months and we'll be asking independent designers and engineers to dream up their own cards. 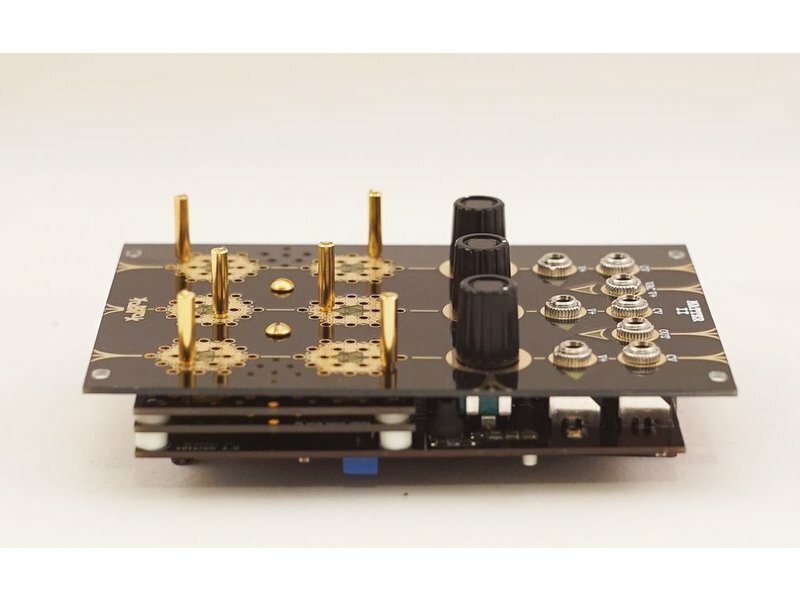 We'll be offering the base-design open source and encourage independent sales outside of folktek.